THE MUCH AWAITED NEW GENERATION OLDSMOBILE HEAD IS HERE. Flow potential has been documented to 350 cfm. 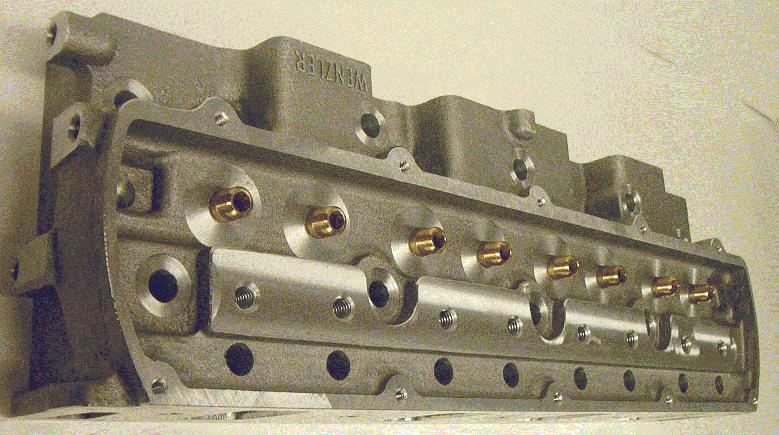 These heads have been fully tested on a race engine. PORT DIMENSIONS - INTAKE 1 3/8" X 2 3/8", EXHAUST 1 3/8" X 1 3/8". USE THE ADAPTER WITH THE SINGLE FOUR INTAKE AND IT WORKS WITH THE BIG BLOCK OLDS. ALSO CHECK OUT THE WENZLER OLDS INTAKE GASKETS. CLICK HERE FOR ADDITIONAL WENZLER OLDS HEAD SPEC. 'S AND PRICING. CHECK OUT THE PACKAGE DEAL.